Iron deficiency affects nearly 3.5 billion people worldwide. The condition can lead to anaemia, weakness, impaired cognitive ability and even death, but now a reusable supplement — in the form of a small black fish — could change all that. The Lucky Iron Fish can be added to every cooked meal and will release a small amount of iron with each use, enabling families to get a reliable, daily iron intake. The affordable solution is already being implemented in Cambodia, where almost 50 percent of women and children suffer from anaemia caused predominantly by insufficient iron intake. The Lucky Iron Fish was created by Canadian Dr Charles who was inspired by reports that cooking in cast iron pots increased the iron content of food. 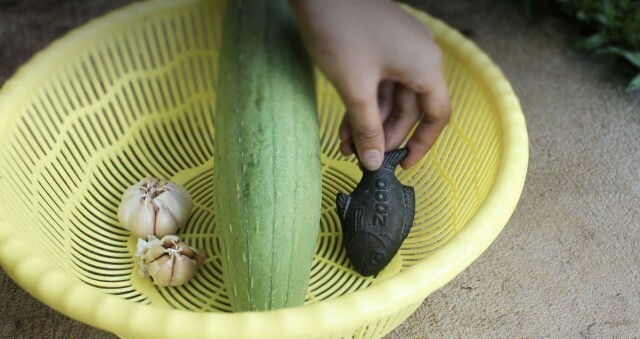 It is shaped like a fish since this is the Cambodian symbol of luck, and has been trialled on hundreds of villagers — nearly half were no longer anaemic after twelve months. To use, the cook simply add the specially formulated iron ingot to the cooking pot, which causes it to release an average of 70 µg/g of iron — providing the diners with 75 percent of their recommended daily requirement. Each fish lasts up to five years. 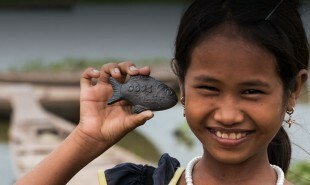 Supporters can purchase one Lucky Iron Fish for themselves for USD 25 and the organization will give one to a family in Cambodia. Of course, there may be unknown negative health effects in consuming iron this way, but each batch undergoes extensive testing to ensure that the ingots only release quantities of iron that can be absorbed by the body, and won’t cause toxicity. Are there other necessary vitamins and minerals which could be consumed in similar ways?